In 2012, Yunnan Sourcing released a spring Wuliang tea that sold for $23/400g. Since then, Scott has pressed five more spring Wuliangs, most recently in 2018. This time it was priced at $43/400g, an effective price raise of 87%. This post is an investigation on how the release price of nine different tea productions by Yunnan Sourcing have shifted over the years. It is another data-centric way to look at price change over the years. It’s more simplistic than previous investigations but is intuitive and easy to understand. I started with the same list previously used to look at pu’erh prices at their conception and filtered out all the productions not made by Yunnan Sourcing. From here I took the pressings that Yunnan Sourcing did and took the nine productions that had four or more spring productions. Between 2011 and 2018, Yunnan Sourcing produced Wuliang tea six times so I used this tea for my dataset. These nine productions are a varied bunch, but are predominantly based outside of Xishuangbanna, something true of much of Scott’s tea. This is an observation worth noting, as XIshuangbanna is probably the most important prefecture for pu’erh and the one with some of the highest prices. Yunnan Sourcing is the longest running western facing vendor and the most stable. Scott presses frequently from the same areas and has well-established connections in Yunnan. Not many vendors make the same production for more than two or three years and often they’re blends, which add complexity to any price comparison. This makes YS an ideal vendor to see how prices may have evolved over time. A quick look at the data verifies that all nine teas cost more in their most recent productions than their older ones. The amount varies a lot and is anywhere as low as 15% (Bangdong, 2014/2018) to ~550% (Ailao 2011/2018, Manzhuan 2012/2018). If we average the % increased per year and extend our timeframe out for eight years, the total averaged % risen is ~275% from 2011 to 2018. A tea that costs $35.70/357g ($0.10/g) in 2011, would potentially cost $134.25 if produced in 2018. This sounds pretty extreme, but it actually fits snugly between the average median % increase per year, 150-300% (depending on if you adjust for vendors). In other words, all metrics agree that prices have gone up a lot in the past eight years but this particular viewpoint, says it’s gone up by by even more than a comparison of the median production controlled by vendor. One of the more stable teas with six data points, Wuliang rose in price by 87% over the course of six years. I like this comparison, because the growing area is theoretically the same so it feels closer to comparing apples to apples rather than apples to oranges. But there is still a lot about the productions we don’t know. Which farmers were used and did it vary year to year? If we look at Ailao, this was a regular inexpensive production by Scott for 2011-2014 ($18-25/400g), before he stopped from 2015-2017. In 2018 he pressed another one, but it was several times more expensive at $118/400g.. Did all Ailao tea shoot up in price in those four years? Or did Scott switch source to something much more premium/higher end? These two different scenarios would have totally different implications on pricing trends. If I were to take an educated guess, I’d guess the latter mainly because we have not seen a huge jump in nearby areas (Wuliang/Jinggu) in the timeframe from 2014 to 2018. Another narrative that can mute the impact in this analysis is a price sensitive vendor. If a particular farms prices go up, they may seek out another source from the same mountain to keep the cost lower. This is something that would mute the price jumps, but would be invisible to the naked eye. Similar to the example above, it’s an inherent limitation to this interpretation of the data. Compared with previous investigations on pu’erh price this is a smaller sample size and is overall less rigorous in my opinion. The exact precision of this probably is just OK, but it does line up and corroborate with what we know about price trends (they’ve gone way up!). 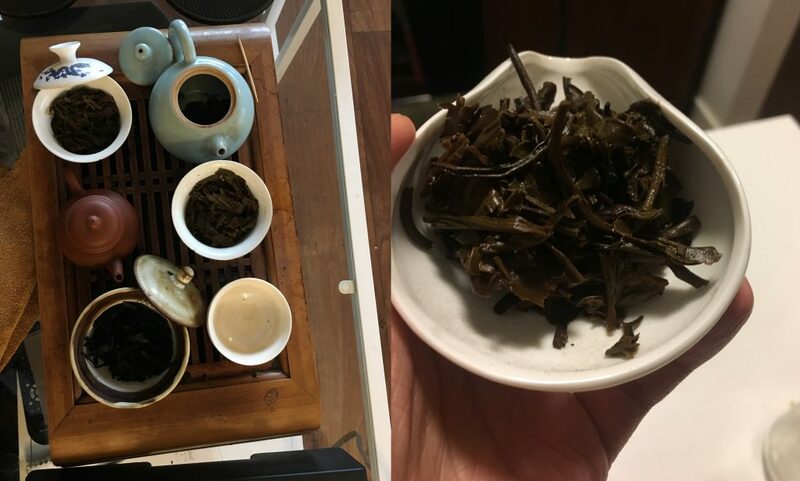 This entry was posted in Article, Raw Pu'erh and tagged Yunnan Sourcing. Bookmark the permalink. Has this level of increase also been mirrored in factory productions, (excluding Dayi), or is it more the boutique productions? I am curious if there is a difference between farmers selling to western vendors, and those selling more locally. I do understand that there are probably quality differences ( leaf quality, pesticides, etc) that would drive the prices to be higher in general but the trends over time I would think should follow similar trajectories ? I’m not sure. The data is hard to find. It’s also hard to do analysis like this for factories since most at least moder-sized factories will be a much heftier size and use much more sources for their material than YS. I think a comparison like this could be done with something like Chenyuan Hao, but someone would need to track those down the historical pricing of it. I have to confess I did something similar last Spring for 2017 productions to establish what a difference a year makes. I published a random selection of Puerh productions and their relative increase. I found that the highest hikes were around 40% for factory productions, Xiaguan and Shuangjiang Mengku productions being the most significant rise in price between years. However, I came to the conclusion that there were a number of factors that drove higher percentages of price increases, not all so easy to discern. I think its safe to say that popularity of a particular production has some influence on the price increase between years. The more popular a production the higher the increase over time. Equally I think those of less popularity and more standard productions tend to have more steady and stable increase in price, with the regular big factory favourite recipes almost having “predictable” increase % in price between years. I think the “rule of thumb” still is if you like a particular tea buy enough whilst its still available and reasonably priced. Very nice insightful analysis, thank you for sharing! The Yuan also depreciated with respect to the US dollar which may have resulted in the increased starting price. “Or did Scott switch source to something much more premium/higher end?” –>Scott claims this very thing in the product title and description: “‘Secret Garden’ is the most premium Ai Lao area tea that we have ever had the privilege to enjoy (or offer for sale)” I think he also explains this in further detail in a youtube tasting of the tea or in his 2018 all teas overview vid. “If a particular farms prices go up, they may seek out another source from the same mountain to keep the cost lower.” Is it crazy to say that this could cause farmers to focus more on buying cheaper (younger tree or lower quality) leaves from pickers and could cause neglect for ancient gardens / high quality material?